MCLEAN, Va., May 13, 2011 -- Tim McKnight, Northrop Grumman Corporation (NYSE:NOC) vice president and chief information security officer, has been elected Chairman of the Board for the Internet Security Alliance (ISA). The ISA is a multi-sector trade association established in collaboration with Carnegie Mellon University that represents an array of organizations including the aviation, banking, communications, defense, education, financial services, insurance, manufacturing, security and technology sectors that are concerned with information security. "We are delighted to have Tim chair our board," said Larry Clinton, president, ISA. "He brings a wealth of knowledge in this industry and a passion for making a sustainable system of world-wide cybersecurity a reality. I look forward to working with him to advance incentives to motivate enhanced security of cyber systems across all sectors." "It is an honor to be named to this post," said McKnight. "The cyber threats are growing and there's no slow-down in sight. Through my role at ISA, I will drive awareness among industry and government for how good security investments can protect your enterprise and improve operational success. I also plan to advocate for the need to share best practices globally - we are too interconnected to operate independently. I look forward to working with the members of ISA to advance a safer, more secure international business environment in cyberspace." 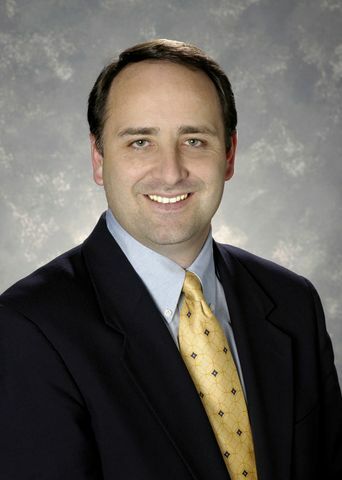 At Northrop Grumman, McKnight is responsible for developing the strategy and vision of Northrop Grumman's global computer and network information security systems, defining companywide policies for information security, and enhancing the security of the company's products, services and infrastructures. Northrop Grumman is a leader in all aspects of computer network operations and cybersecurity, offering innovative solutions to help secure the nation's cyber future. The company's decades-long expertise cuts across every sector: intelligence, defense, civil, state and local, and commercial. For more information about Northrop Grumman in cybersecurity, go to www.northropgrumman.com/cybersecurity .